Brexit means Brexit – and it hurts! Politics of peace: sharing sovereignty and spreading prosperity makes impossible the settling of differences by war. British negotiators in Brussels are missing the point and will never win a good deal. Why? 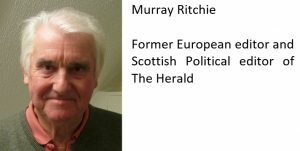 Because the European Union is more about politics than economics, writes Murray Ritchie. Many years ago in Brussels when Jacques Delors was president of the European Commission he shook his head in sadness at the latest fusillade of Eurosceptic hostility from across the Channel. This was during the tensions created by the proposed single currency and Britain’s opposition to it. “The British are an island people,” he concluded with a Gallic shrug. As if that explained everything – and in a way it did exactly that. We British – or at least 52 per cent of us who are leavers – are written off as misfits in the great European adventure. To European eyes it was ever thus. Ever the awkward squad, the Brits just don’t like joining in. They think they’re being told what to do by bossy foreigners, particularly French and German foreigners. This mindset is at the root of today’s Brexit crisis in Brussels where, barring some unforeseen breakthrough, we appear to be heading for a diplomatic failure of immense proportions. We have managed to hurt our European partners, not just for causing a potential economic schism, but for rejecting the European Union’s (EU) overriding aspiration – peace and prosperity in ever-closer union. To Europhile eyes the EU represents an ideal that the UK has betrayed. Ever-closer union, to which we signed up over a series of treaties, was fine until Delors, Helmut Kohl and François Mitterrand got serious about integration. This was where the normal relationship between politics and economics was turned on its head. Raw politics became the driver. To encourage economic integration required strong political will, not least in progressing Maastricht’s single currency. Any challenges – Greece, for example – were overridden by political will. The euro survives today because of politics, despite all the economic gloom and pessimism we read about daily in the British Eurosceptic press. We were told long ago it would be stillborn. As the years passed we were told regularly it would be dead within months. Now the airports are offering less than a euro to the pound. When Greece was – scandalously – admitted to the eurozone when patently unable to cope, it was a political fix – the same fix which defies economic reality to keep it there. Messrs Delors, Kohl and Mitterrand, integrationists all, were not about to let themselves be embarrassed. Remember how Kohl ordered the exchange rate for the worthless East German Ostmark to be one-for-one with the Deutschmark despite the obvious economic madness? So much for the fabled independence of the old Bundesbank! We were told that Spain and Portugal and Ireland would be blown out of the euro but politics intervened to keep them there. The same will happen with Italy’s coming crisis. How ironic that European integration was born out of war and shared by the greatest of British heroes. Angry Eurosceptics loathe being reminded that Churchill was among the leading Europhiles when he called for a new means to protect peace, safety and freedom: “What is this sovereign remedy?” he asked. Eurosceptics hate being reminded of that quotation. In their desperation to disavow it they claim Churchill never foresaw a single currency or malign “unelected Brussels bureaucrats” bossing the British. Britain is desperate for a trade deal to equal and replicate the single market and/or the customs union. Aha, but we never signed up for the EU as a political project, they complain. Well, we did actually. It was called the Maastricht Treaty which renamed the old European Community as the European Union and introduced European citizenship and monetary union. We British backed off from the single currency and the social chapter amid mutterings of a two-speed Europe. (More headshaking from M Delors.) But that was then. We were content to grumble on the sidelines while drawing a line at further integration. That foot-dragging has now brought us to the crunch where political determination confronts economic challenge. Britain is desperate for a trade deal to equal and replicate the single market and/or the customs union. But EU politics insists there is no chance of that in practical terms otherwise what is the point of membership? Politics will win if we go by precedent. Germany will say losing Volkswagen exports to Britain is less important than the precious EU project. Brussels politicians expect our banks to cross the channel if the new rules work against the City. The EU can spoil our holiday travel and increase our food prices. We are about to learn the hard way that the EU actually believes – genuinely believes – in sharing sovereignty and promoting the original ideal of the common market which is to spread prosperity by hitching French farming to German industry in a way that makes impossible settling differences by war. This remains pure politics using economics as a tool. The EU undoubtedly has its challenges, but the European ideal is working. Politics and economics – the twin basis of today’s EU since its inception 70 years ago – go hand in hand, but the politics still drives the economics, not the other way round. Britain has offended this ideal – although 48 per cent of us are blameless – and we are probably about to pay an enormous price. Ironically, when we become isolated we are likely to be in the dangerous position of allowing economic desperation to reverse the process. When you allow dire economic misery to drive politics – inter-war Germany comes to mind – the future can be terrifying. That, after all, is why the EU was invented. For democracy to succeed must Brexit fail? 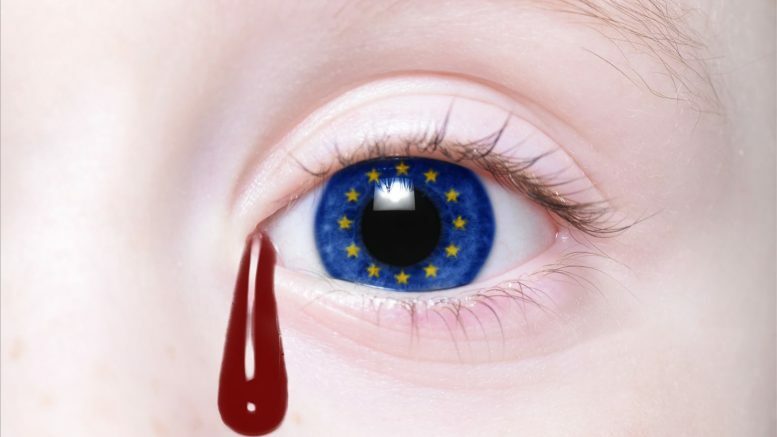 1 Comment on "Brexit means Brexit – and it hurts!" Usually a country or an association requires something like a two-thirds majority to make a major constitutional change. As a a non-Brit I’m flabbergasted that 52% is interpreted as an inviolable mandate to make the massive legislative changes being debated this week, let alone the longer-term program of Brexit—hard or soft.